For Christians, business is more than just a way to earn a living—it’s a calling. That’s why at BJU you’ll learn to be business-savvy, because good business not only benefits you, but also honors God. Our associate business program will equip you with the biblical foundation you need to excel in business as you explore various topics, including how personal integrity is the root of good business and how business ethics stem from the Word of God. BJU’s business program equips you in the basics of business theory within a biblical worldview so that you can master the concepts and practices of business. In addition, many of your courses include case studies to expose you to a wide variety of real world situations and give you the opportunities to analyze them through the lens of Scripture. You’ll also hear from business graduates who periodically speak in classes and share their insights into current trends and markets, providing a broader understanding of your field. In the business world, the ability to adapt to change is essential to success. You’ll take BJU Core courses, including a few in English, speech and the arts, so you can thrive in any job situation and build common ground with future contacts. Through Bible courses, you’ll build a solid foundation on the truth of God’s Word, so you can know what you believe, know why you believe it and share the good news of Jesus Christ with others. 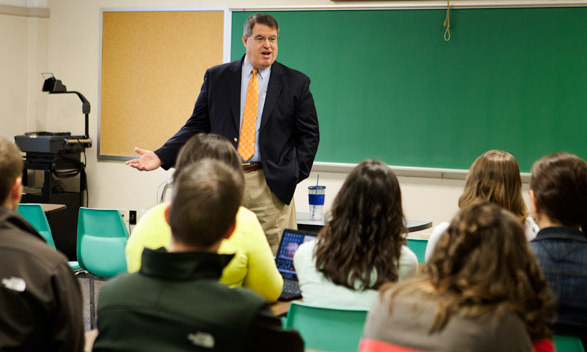 The associate degree in business has a lot packed into it, and most of your electives are part of the BJU Core. If you would like to take additional electives, you can explore taking classes over the summer through BJUOnline or increasing your class load during the semester. Apply a biblical worldview and biblical standards to the various concepts and practices of business. Demonstrate basic practical competence in the areas of accounting, finance, marketing and human resources management. Demonstrate general office administration skills.